BMW X1, one of the best selling car in the auto world will be coming to India soon with a facelift. Although, the company has not confirmed it to the markets, trusted sources believe that the car is slated for a Valentine's day launch. Now you can expect for a lot of changes in this facelift version, especially in terms of exterior designing and technical specifications. This car has received a bit of cosmetic updates at its front fascia that gives a new look to the front of the car. Today, the luxury car segment in India is heating up with new models and designs and the companies like BMW, Audi and Mercedes are fighting for the throne in the segment. As discussed, the car comes with a lot of improvements inside and out. If it comes to the changes of the car, it has now received a new front grille grains with a lot of chrome or silver accents. The company has changed the headlamp design and detailed it with a dual toned look. The front bumper design is also redesigned in order to bring a sporty look to the X1. On the other side, the mirrors of the car are new and the sills on the side lower body also got a new look. The rear bumper will now get a bit larger diffuser as shown in the BMW X1 pictures. When it comes to the BMW X1 features, the car will now get a redesigned center cluster and new design air con vents that contain silver accents. The engine of this car is expected to remain the same as its earlier version but the change will be in terms of the automatic transmission gearbox. The company has now integrated an 8 speed manual transmission gearbox, which will enable the car to be more fuel efficient and to be a high performing vehicle. It is a fact that the bran X1 from BMW cars is the most popular in the compact SUV segment and now with its facelifted, the car is expected to gain more popularity by achieving higher sales margin. BMW X1 launched in Indonesia already. BMW X1 will have to face the cars like Audi Q3, Volvo V40 and Mercedes Benz B-Class Sports tourer in the Indian markets upon its arrival. Presently, BMW can cheer about their position in the Indian markets as they have managed to achieve top position in Indian beating Mercedes. The wait it still about few more days as the Valentine's day is just about a week from now. 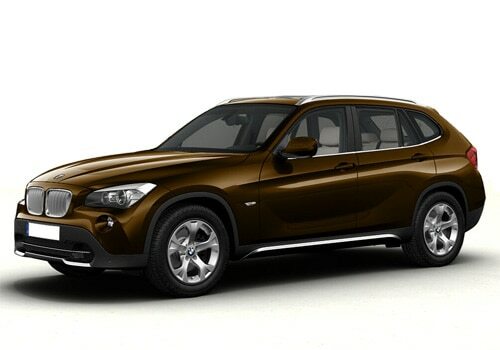 BMW X1 price for Indian markets is still not confirmed but it will be disclosed upon its arrival.